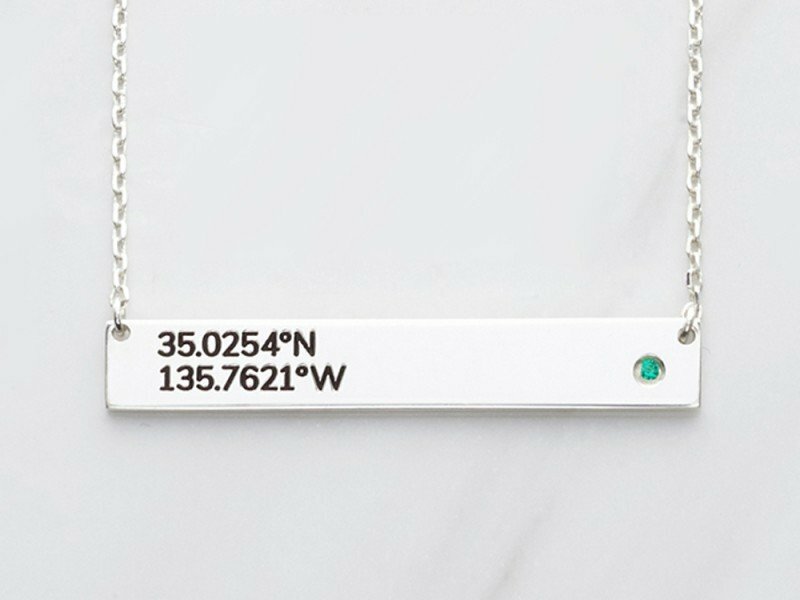 Our best-selling coordinates necklace, now further personalized with a shimmering birthstone. This bar coordinates necklace will celebrate the special place in your heart in a subtle and elegant way. Available in sterling silver with 18K yellow and rose gold plate options. Measurements Bar pendant measures approx. 1 5/8" x 1/4" (42 x 6 mm).